Every once in a while, we come up with something so good that it impresses us so much, and we just want to shout it from the rooftops. This vegan paneer substitute, made from tofu seasoned with a blend of nutritional yeast for savoriness, Dijon mustard for tanginess and a touch of onion powder, garlic powder, curry and salt to tie it all together, is one of those times. Seriously, it's pretty incredible. If you need a simple way of making a vegan paneer cheese substitute from tofu, here's how to do it. Paneer is a soft curd cheese frequently used in vegetarian Indian food recipes. Because its a soft cheese, it's much easier to replicate at home than other types of cheese, and, most Indian food recipes which call for paneer will cook it in a gravy or sauce, or at least add plenty of extra Indian spices, so the flavor of the paneer gets a little but hidden anyways. Here's how to make a yummy dairy-free paneer substitute from tofu. Use your homemade dairy-free and vegan paneer substitute to make Indian palak paneer (spicy spinach and cheese), or try adding it to just about any of your favorite Indian vegetarian food recipe or vegetarian curry, or, try throwing it on the barbecue as in this grilled paneer cheese recipe. Make sure your tofu is well pressed before beginning. Not sure what that means or how to do that? See this simple step-by-step guide for how to press tofu. In a small bowl, whisk together all the ingredients except for the tofu until smooth and creamy. Heat a bit of oil in a saute or frying pan. Add tofu, coating with any extra sauce, to make sure all the sauce is used, and fry for 3 to 4 minutes on each side until golden. Use your tofu paneer "cheese" as a substitute in any Indian recipe that calls for paneer. 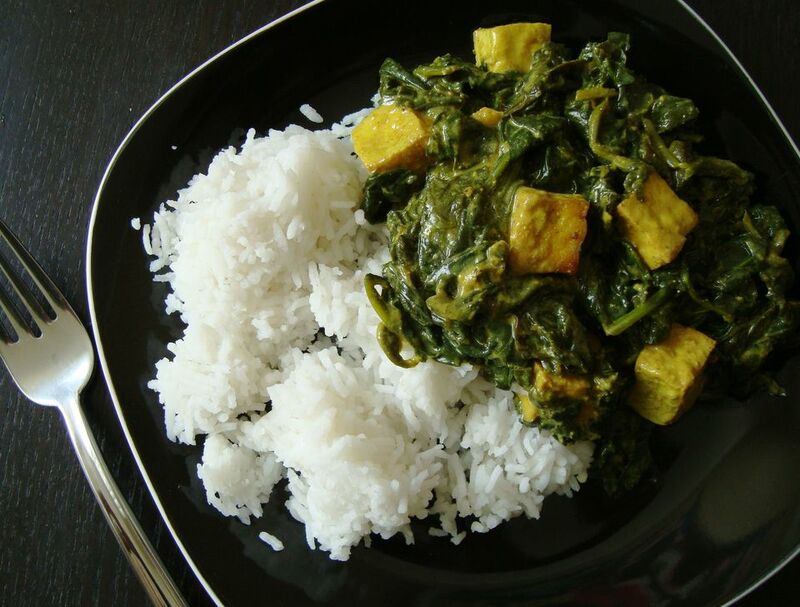 A Vegan Twist on Indian Palak "Paneer"